Christmas Greetings! I hope you are well. Here at the Mission the renovation of the school has officially begun. Use of the building has already been a tremendous blessing! Our Tuesday food pantry is now able to accommodate over 180 families each week - TRIPLE our former capacity. The pantry has been affectionately named “the coffee shop” by neighbors as we are now able to serve those families coffee and breakfast pastries while they wait to receive their groceries. 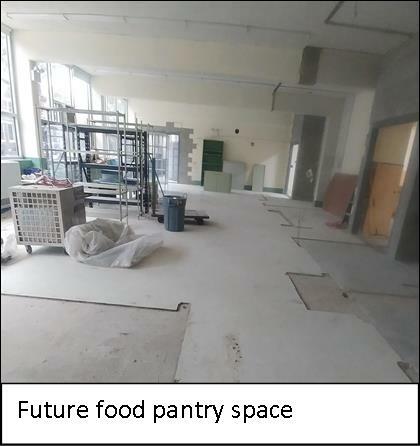 We are looking forward to installing new walk-in refrigerator/freezer units soon so that we can continue to meet the very great need and give families access to fresh, healthy food. Susie, a longtime patron of our pantry, cares for anywhere from 10-15 children at her home, which is just adjacent to our church. Susie recently adopted 2 additional children from the neighborhood whose mother had committed suicide. At almost the same time, another tragedy struck the family as Susie had to suddenly have her foot amputated as the result of an accident coupled with medical complications from diabetes. During this difficult time, we are grateful to share that we have been able to provide the family with significant support, especially food, as Susie’s funds are very limited. Our food pantry has truly made an incredible difference in the life of Susie’s family, and there are innumerable similar stories here on the west side as drugs, violence, and gangs continue to disrupt the lives of so many. 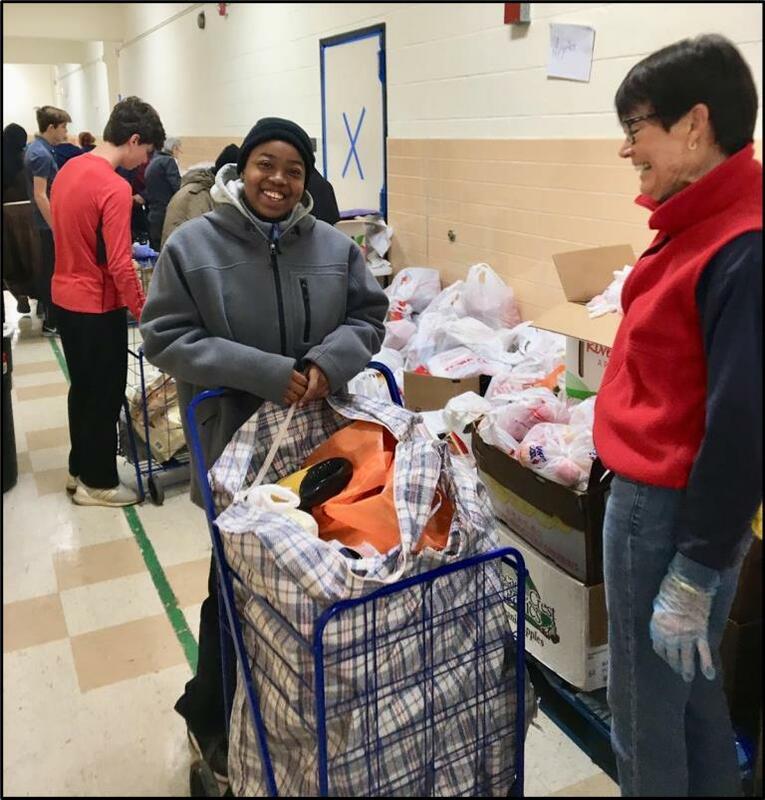 The completion of the school project is the essential next step in the Mission expanding its material and pastoral outreach to better support our neighbors as they face so many difficulties in their lives. We are currently waiting for building permits to complete significant portions of the project - please pray for a swift approval! By next October we hope to have a new heating system, a new kitchen, a new dining room, a new roof, and a 60+ bedroom guest quarters to receive retreatants and volunteers (including bathrooms with over 16 showers and toilets). We anticipate the permit will be ready in the beginning of the new year, and we hope to have the financing available to complete the project by that time. 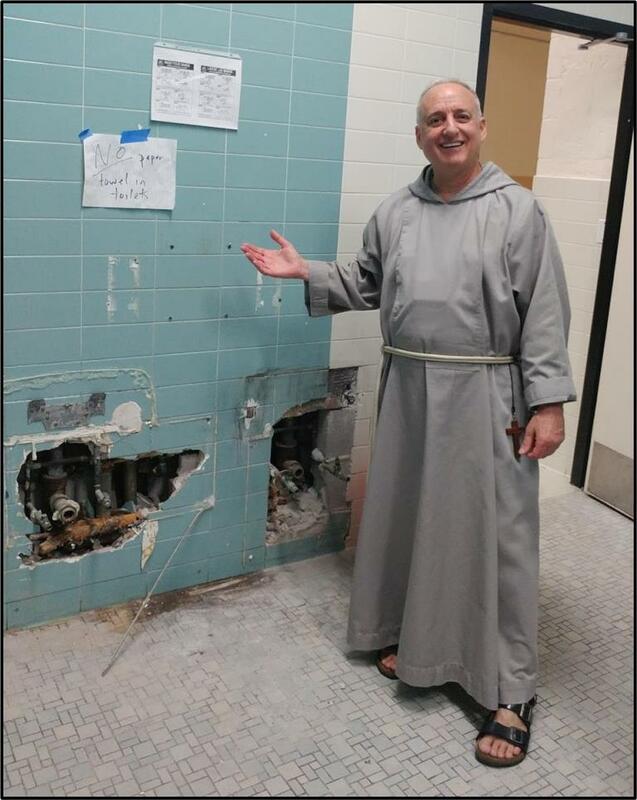 The Franciscans at the Mission have also continued to expand their outreach beyond Iowa Street. 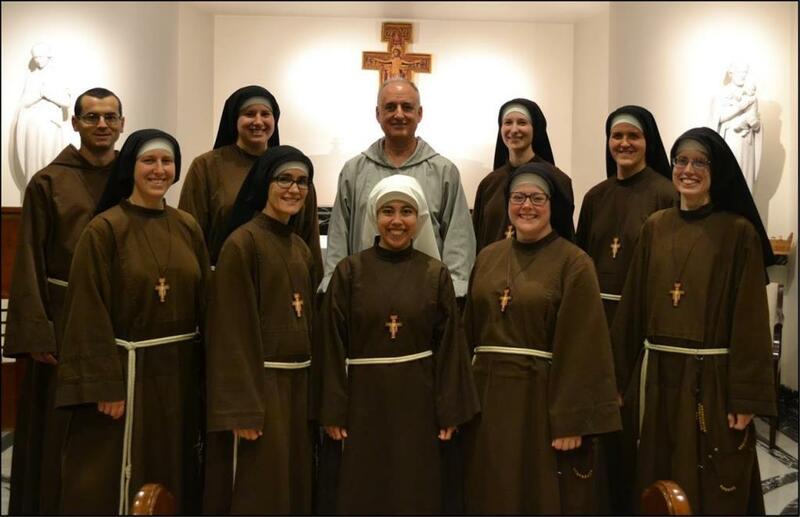 Two of the sisters are now teaching religion in our poor Catholic schools, 1 is working with the Young Adult Ministry of the Archdiocese, and 2 more have started their Masters in Teaching. Please continue to join us in praying for vocations! We are confident that God is calling many more young men and women to join us in caring for the poor and sharing the Gospel through preaching and teaching. Stay up to date with Mission events at www.missionola.com! Know of our gratitude for your support, prayers, and generosity, without which our work would not be possible. Be assured of remembrance in our daily prayers and Masses, and please let me know if you have any special intentions you would like us to pray for (e-mail olamission@gmail.com with any prayer intentions). May God Bless you and your loved ones. Merry Christmas and a Happy New Year! 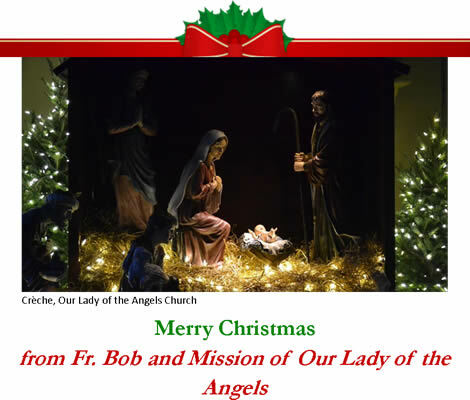 P.S.- We would love ALL of you to join us for our volunteer Mass and breakfast on January 6th at 9:30 AM. RSVP HERE by January 2. We will have Mass followed by breakfast with some quick updates about the Mission!